While hospital-focused telehealth is still largely used for high-acuity cases like stroke, we see the greater, untapped potential of this technology. When leveraged system-wide, telehealth is a disruptive technology that can impact care delivery in a major way — reducing avoidable hospital admissions and readmissions and improving outcomes for patients, while saving the healthcare system a lot of money. offer the entire healthcare chain (patients, providers, payers, etc.) a seamless, end-to-end experience. 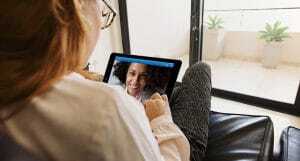 We don’t simply want to host one-time virtual visits: Our goal is to make sure patients can access telehealth when they need great care, regardless of where they are located. As we continue to grow, we’ve sought ideas for expanding our broader portfolio of customizable solutions. In October 2017, we announced our acquisition of Carena. The opportunity made a lot of sense: The company’s provider network is a natural extension of our own platform and their expertise in meeting consumer needs through 24/7 on-demand services can help us do a better job of meeting our healthcare partners’ telehealth needs. Together with Carena, we will expand our reach into a greater number of markets, and help hospitals and health systems strengthen and scale their existing telehealth programs. Since 2000, Carena has designed and operated virtual clinics for health systems, and today offers virtual care access to millions of consumers. Our combined company now supports a quarter of the nation’s hospitals. As KLAS noted in one of its most recent industry reports, “Telehealth Virtual Care Platforms 2017,” Avizia has one of the most adopted telehealth platforms across use cases (on-demand, specialty, and scheduled) and is the best in EHR integration. 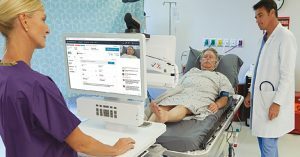 Prospective and existing customers will benefit from our broader range of telehealth solutions in the newly christened Avizia-Carena partnership. These solutions include a host of provider staffing models, which an organization or health system can choose to brand. Avizia Provider Services offers access to industry-leading, highly credentialed, board certified providers for virtual and onsite care coverage for a multitude of specialties across all 50 states. 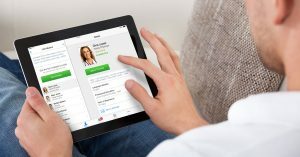 Telehealth is expected to grow into a $38 billion market by 2022. Today, Avizia is trusted by four out of the top five IDNs in the nation and one in four U.S. hospitals. Moving forward with Carena, Avizia is excited to be driving better patient outcomes through our system-wide and comprehensive approach to telehealth.